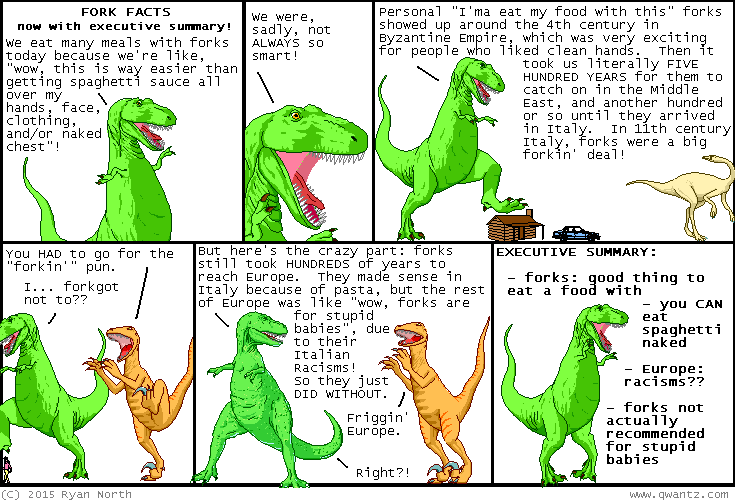 Dinosaur Comics - December 2nd, 2015 - awesome fun times! One year ago today: Sherlock Holmes stroked his goatee thoughtfully. Nearby, a record skipped, making that cool record scratch noise you get when an audience realizes something shocking has happened.